You love your hair and every little thing which makes your hair look ethereal. Isn’t it? Yes, we all do love them! But getting right hair-do with right type of ethnic wears is a real hassle when time is really short and travelling distances are long... So here we have brought you quick recipes to your hair for quick get ups with every type of ethnic wear and designer salwar suits. It doesn’t matter whether you’ve short hairs or large luscious one, hairstyles are something which are totally adorable when worn with best of your interests. Speak the language of self confidence this time and follow some below mentioned simple steps to get a perfect ethnic look of the day. Just like any other type of braiding, French style braid also includes three sections braiding which typically starts from the top base of your head. The three sections of hair are then braided together from the crown of the head to the nape of the neck and looks just synonym of fishtail braid. 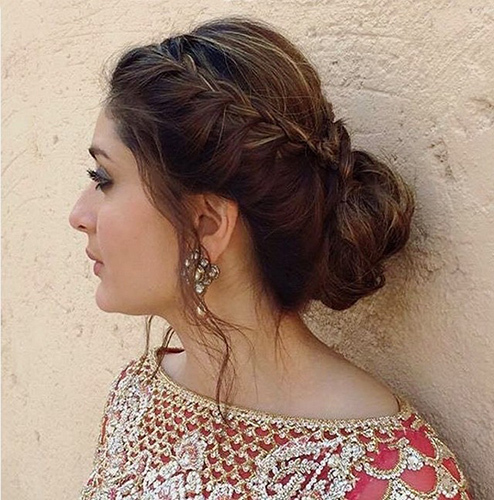 Perfect for your online churidar suits, this hairstyle will look perfect with tight salwars or leggings. The main mantra of these messy braided beauties is to let them loose. Women having little more manageable hair can try messy open braid hairstyle. Do not try if you have frizzy hairs! 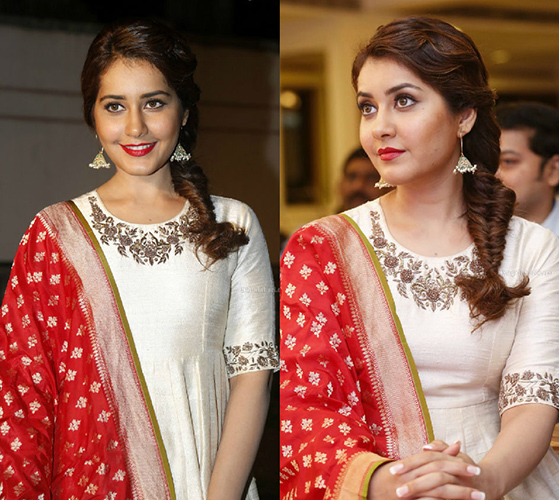 You can do this hairstyle with shirt style salwar suits, palazzo suits or designer straight suits for a perfect match. You don’t want to mess just keep it simple then; let it flow loose. Keep your hair open and apply hair gel to fix your hairs wavy and get that dreamy hairstyle done. 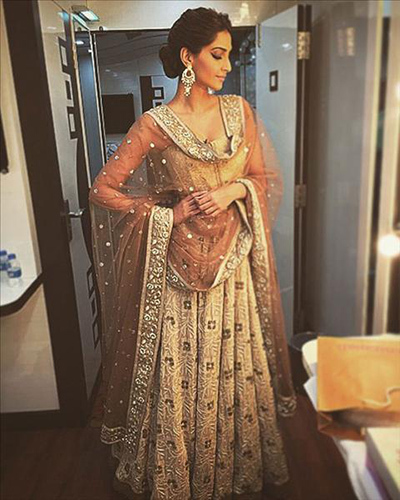 Don’t take a chance with Anarkali suits and adopt this style to throw the best of yours. Do you have long or mid length hair? And you want to adopt traditional hairstyle with a twist of quirk? Then this is your section girl. Get inspiration from Kareena Kapoor Khan and try it once. From the temple hair, start making braids and then join them to make a simple unfussy bun. Floor length salwar suits will be apt with this one. Keep it simple and sophisticated dear! Just comb your hair a little bit and then make a loose bun aback. Make sure you have a separate mirror to look what’s happening behind you with your style. From that done-bun, take out some locks and stripes of hairs and then let them hang loose as it is. Buy online straight suits from Indiarush and flaunt your divine look by trying messy bun look.